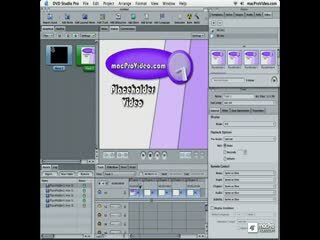 Encoding Video, designing menus, using subtitles and alternate audio/video streams ... these video tutorials let you SEE and HEAR how DVD-Video is created. 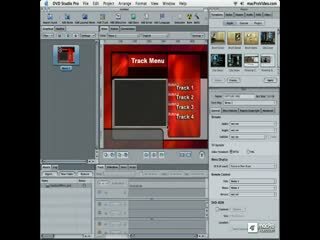 DVD Authoring is 90% knowing how to manipulate the DVD-Video specification to acheive your design requirements, and that means understanding how to efficiently pilot DVD Studio Pro. 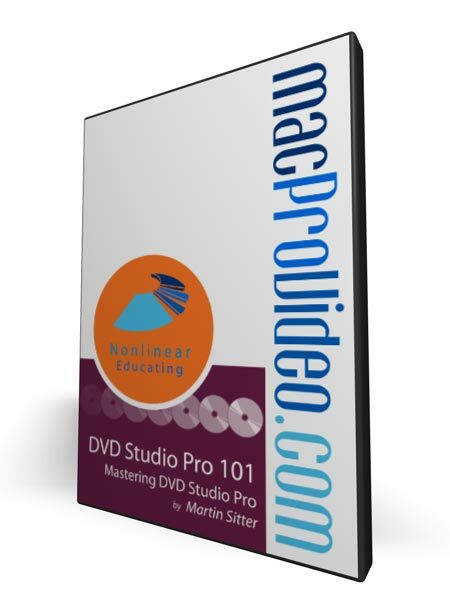 This program shows you all of the major areas of DVD-Video authoring, including designing menus and video for use in DVDs, ceating subtitles and alternate language menus, using alternate angles and video streams, and outputting your final DVD-Video. 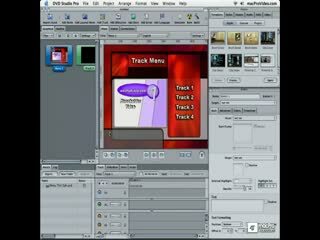 In fact, this program is just as much a science lesson as a DVD Studio Pro tutorials. 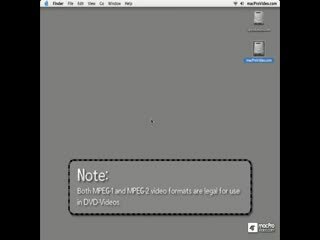 You'll learn how to encode video for DVDs, what frame rates and dimensions you should use, and even the frame by frame theory about how MPEG-2 video is encoded. 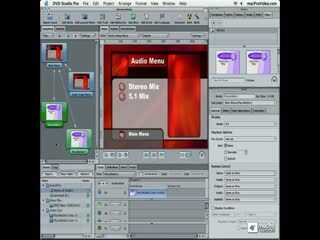 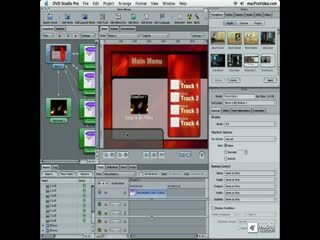 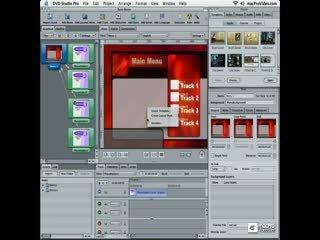 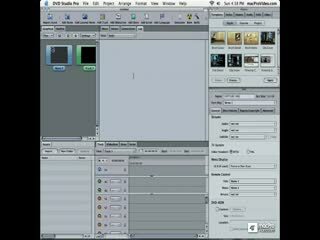 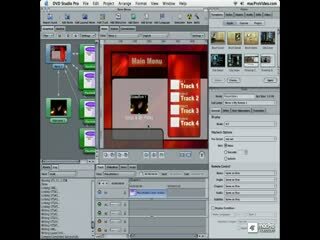 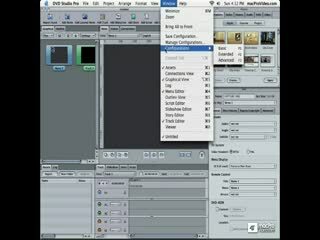 More than a beginners tutorial, Mastering DVD Studio Pro gets into deep theory about displaying digital video on television screens. 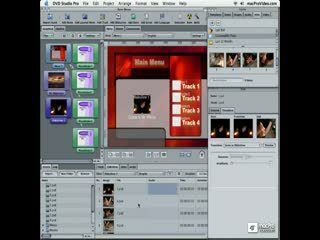 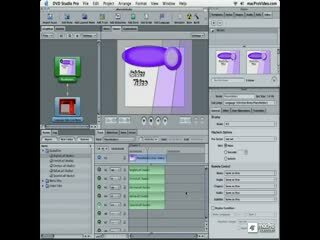 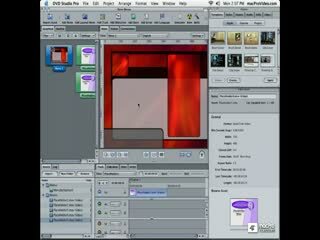 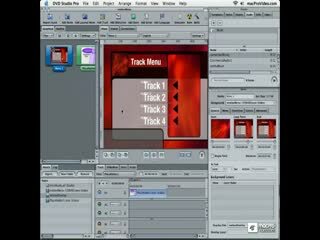 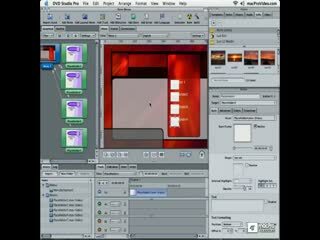 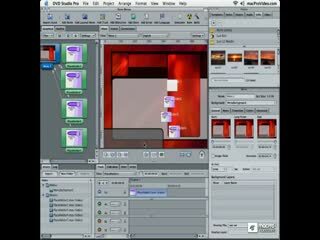 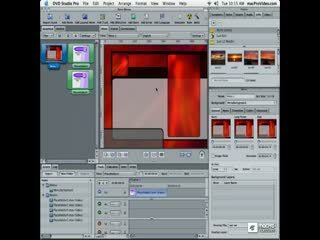 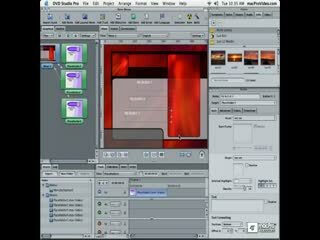 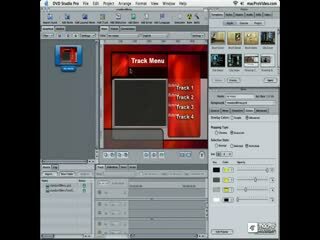 If you are designing intractive video in DVD Studio Pro, get the jump on your competition now, by watching these videos. 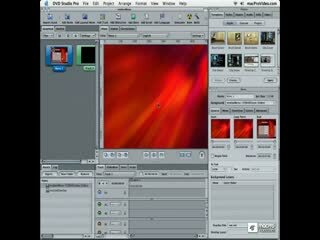 Very good set of video tutorials. 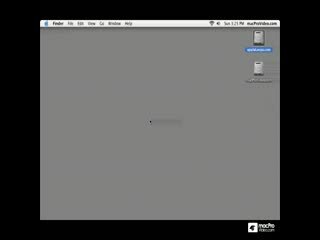 There is so much material that is new to me. 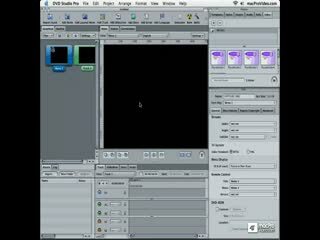 I'll have to watch them several times. 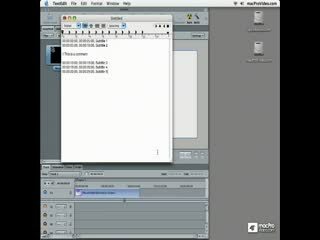 The instructor is very good. 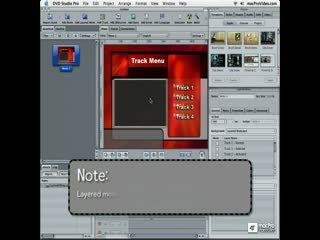 I am extremely happy with this tutorial. 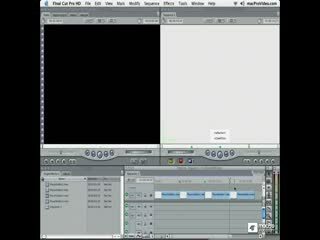 I tried to figure it out on my own and wasted some good hours clicking around with no success. 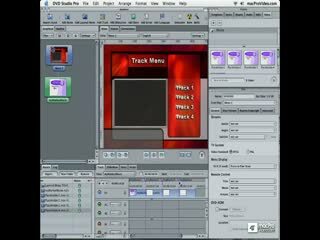 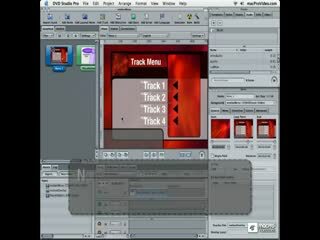 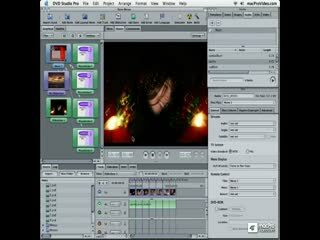 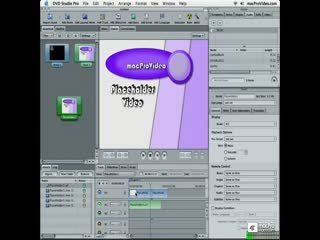 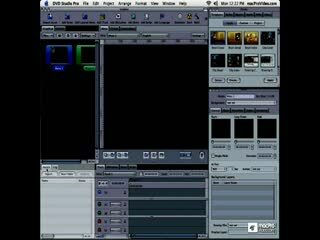 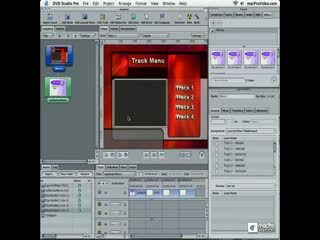 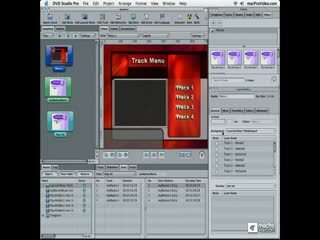 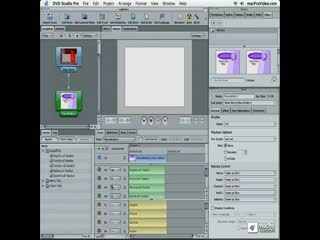 Then a light came up in my head - macprovideo - I went on their page, bought the tutorial, watched it, did what Martin said, and my project was done. 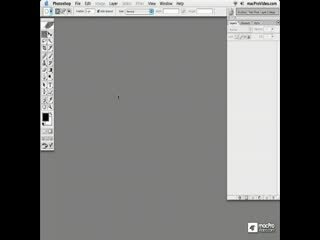 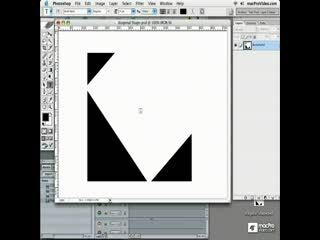 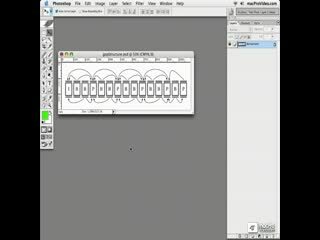 I am amazed with the clarity, quality, and preciseness of this tutorial. Excellent tutorial. Well laid out and easy to follow. 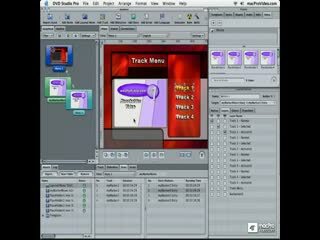 Did not like the irritating gingle (music) at the start of every lesson! 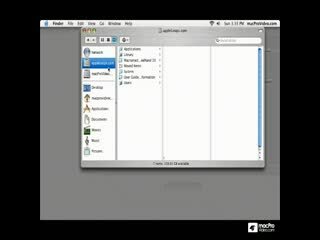 if you need subtitles and additional languages in your DVD project, then you need this tutorial. 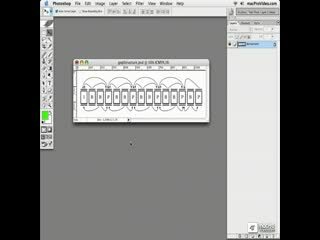 SO I was asked to write a review...Hummm as they say in French, "les gens heureux n'ont pas d'histoire". 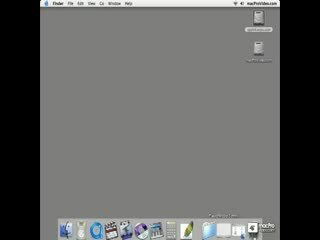 Meaning happy people don't have stories to tell or in other words you never hear them complaining. 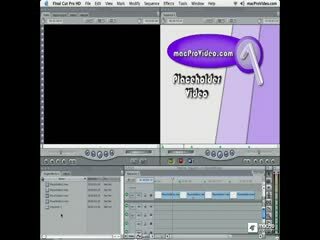 That's my problem with all the videos I purchased from MacProVideo. 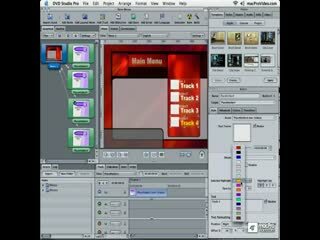 They are all so clear, so detailed and so user friendly to use that one dives right into becoming an expert and we forget to thank the teacher. 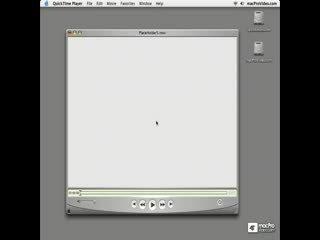 Where can I put my apple I brought for you teach??? Thanks a million for all your great work. hallo, i really like the tutorials. 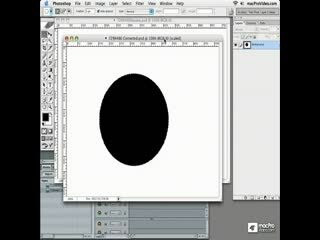 they were very helpful.the teacher is also very great. 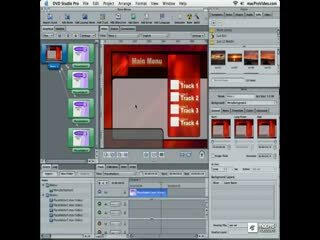 the only thing i missed, is scripting. 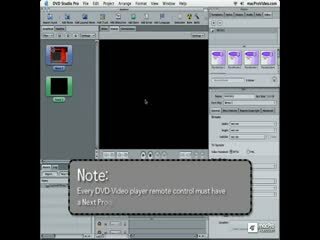 Why don't you make any tutorials on dvd studio pro scripting? 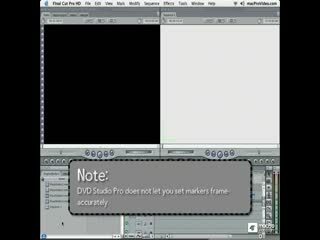 Useful tutorial. 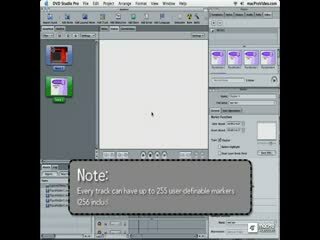 It would be improved with additionof advanced material. 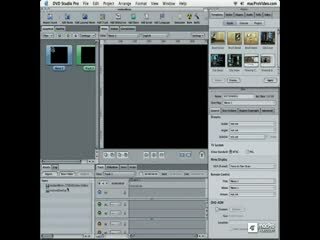 film nr 8 frustrated me. 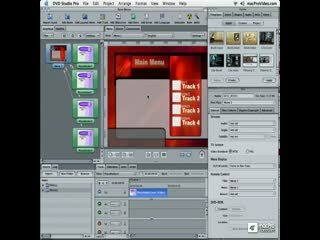 The re-linking assets didn`t work for me. 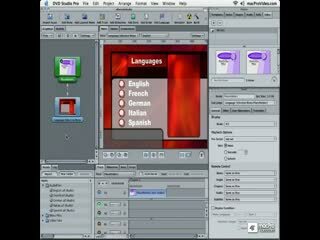 There seem to be differences between the english version and the german version. 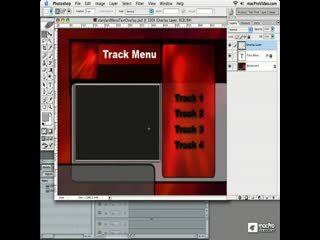 Especially in the short-cut menu. 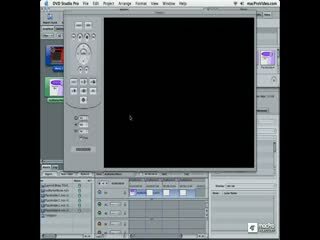 If I press the right button - nothing happens... 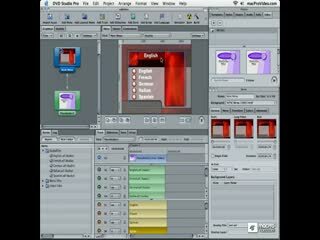 But overall: if there wouldn`t be your tutorials I couldn`t understand the software so quickly. 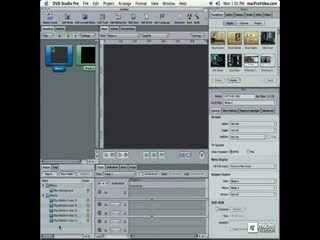 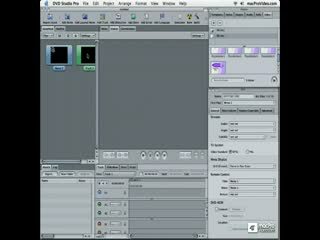 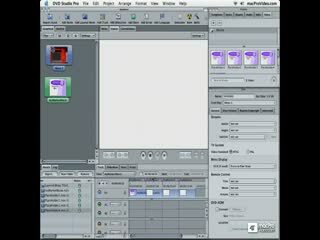 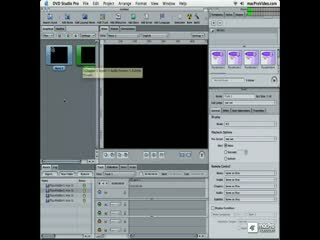 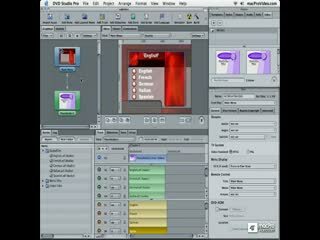 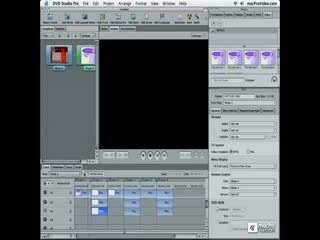 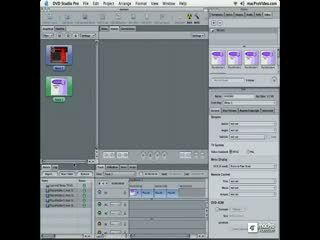 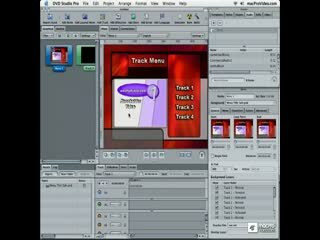 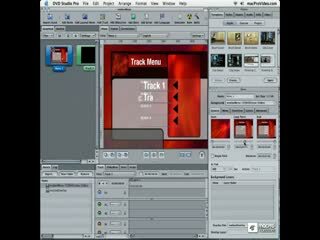 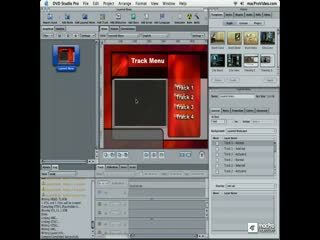 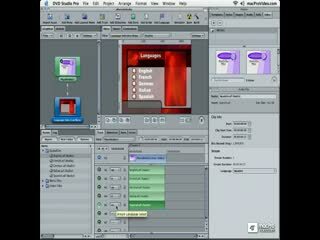 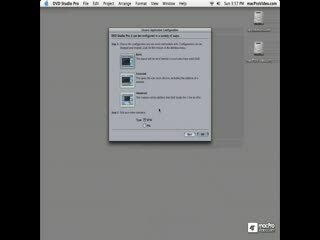 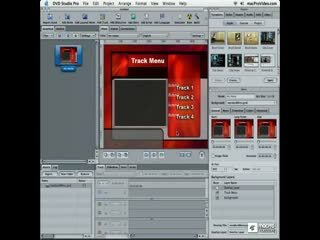 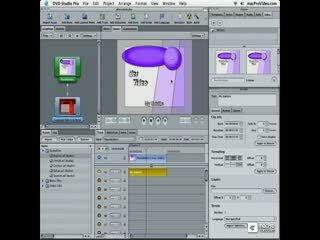 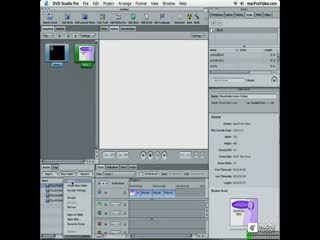 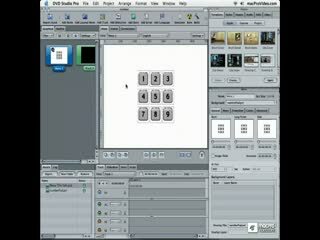 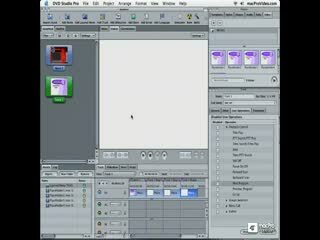 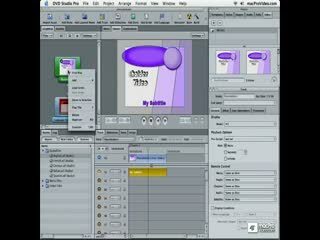 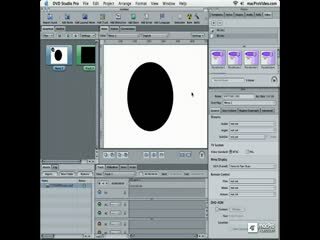 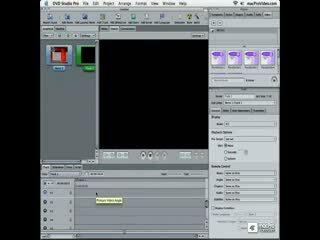 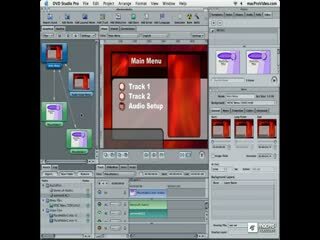 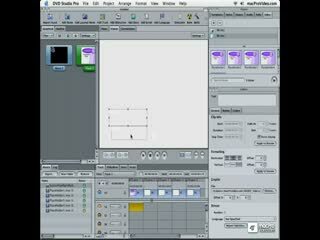 The Tutorial of DVD Studio Pro 101 offers more than I´ve been expecting.